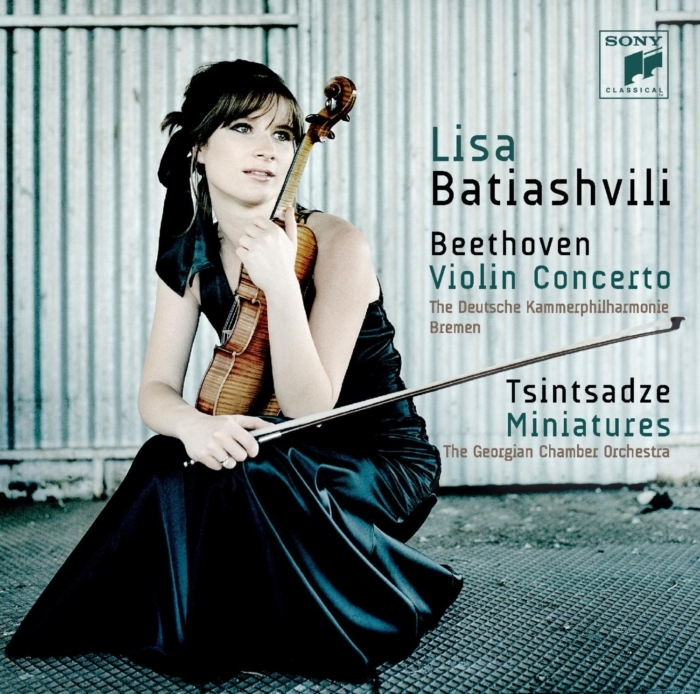 Batiashvili has cunningly preceded her Beethoven recording with a set of six short pieces by Georgian composer Sulkhan Tsintsadze called, appropriately enough, Miniatures arranged for violin and orchestra by the soloist’s father and accompanied by the Georgian Chamber Orchestra, under the soloist’s direction. Batiashvili has a virtuoso technique rivaling the best of past players. Her tone is pure but touched with sweetness, her intonation precise but not at all pedantic, her phrasing lyrical but not the least sappy, and her feeling for rhythm irresistible. For another thing, Batiashvili has a poetic sensibility likewise rivaling the best of past players. To top if off, Batiashvili functions as her own accompanist, leading the Deutsche Kammerphilharmonie Bremen with a deft sense of partnership.